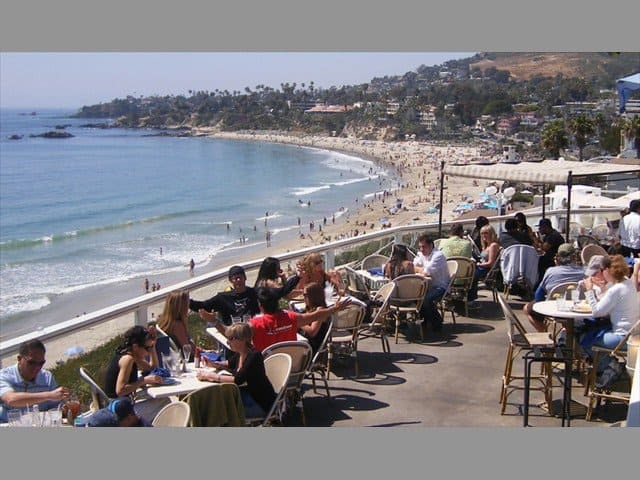 The Cliff Restaurant and Bar in Laguna Beach are open for breakfast, lunch, and dinner seven days a week. They are one of the restaurants that are pet-friendly and they give free rides within Laguna Beach. They’re popular for their Happy Hour and live music, especially on the weekends. On this weekend I partook in the Crab dip, prepared with parmesan cheese and served with toasted baguette complimented with a glass of wine. 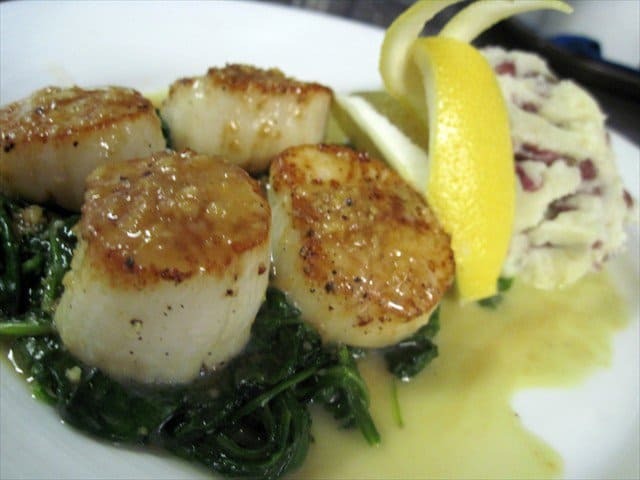 Colleen Oyler, the General Manager suggested this signature dish. What a delight on a sunny afternoon! Actually, it’s also a great taste with a glass of wine at Sunset. The chefs at the Cliff provide a seasonal menu. There is always a nice selection of wild-caught salmon, seabass, and other seafood items. Now if you are so inclined to have breakfast at The Cliff, you’re in for a treat. I recently re-visited the Cliff for breakfast. There are three selections of Eggs Benedict. One with two english muffins, Canadian bacon and two poached eggs topped with hollandaise sauce. The others are the Garden Benedict served with sliced tomatoes and avocados on the side with two poached eggs atop the english muffins and the California Benedict served with crab meat. I enjoyed the Eggs Sardou, prepared with two artichoke crowns, filled with sauteed spinach, then topped with two poached eggs and served with a red breakfast potatoes and a choice of toast or english muffin. The Cliff is so popular that sometimes, it has a long wait. That means it’s wise to call ahead for reservations at (949) 494-1956. While there, be sure to tour the artists shops, which are always very interesting. Lunch is served from 11:30 to 5pm and dinner is served from 5-9 Sunday-Wednesday, and 5-10 Thursday-Saturday. Happy hour is from 3pm-6 and 9pm until closing. Anyone concerned about their alcohol content may have a free ride home within the city limits from 5pm on. That is a great service! The Cliff is located at 577 Coast Highway in the heart of Laguna Beach. 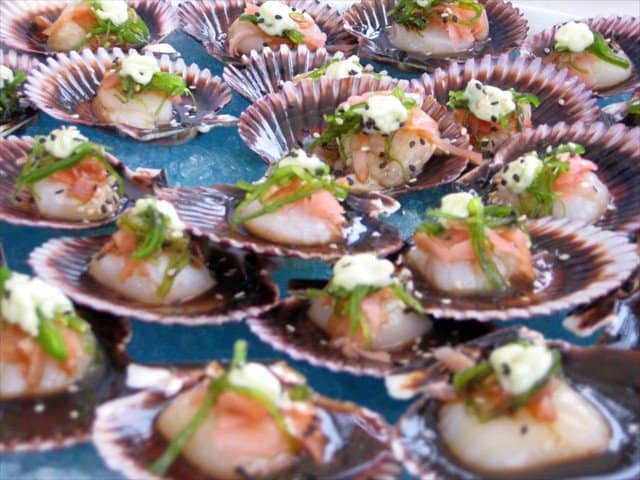 Celebrity Scene News awards The Cliff 4 stars for ambiance and great tasting food. Pete Allman, “The Man on the Scene,” is based in Marina del Rey, California, concentrating on producing feature films, television projects, and commercials. Pete also has an office in Las Vegas, which he visits occasionally. Pete is also a restaurant critic, broadcast personality and celebrity interviewer. He produces inspirational messages for television and other media. Of all the investigations he makes, we suspect he likes critiquing restaurants the most, because he can taste the food, savor the atmosphere, interact with people, and photograph all the goodies.